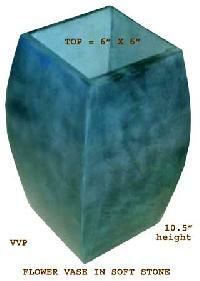 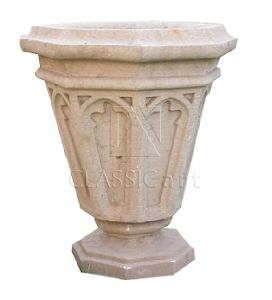 A grand stone Gothic vase in the style of infamous roman vase, which became popular in the nineteenth century. 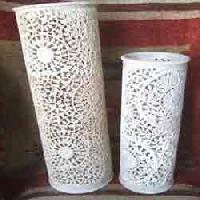 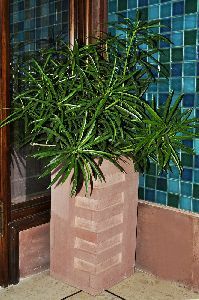 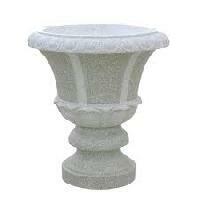 The intricately decorated stone vase feature intwined vines on each side. 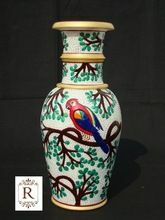 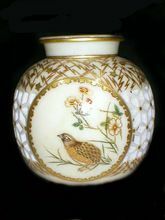 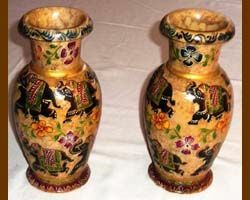 The richness of its colour and the fine hand painting work make this vase a superb decorative collection. 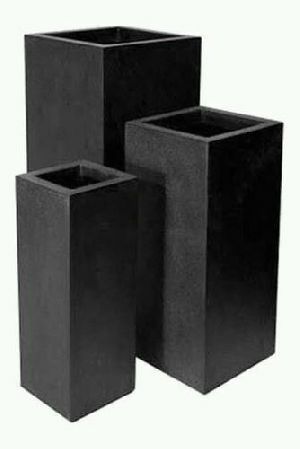 Our product is obtainable in risk-free and industrial grade packing material that make sure the goods are protected from damage and are delivered to buyers in unharmed conditions. 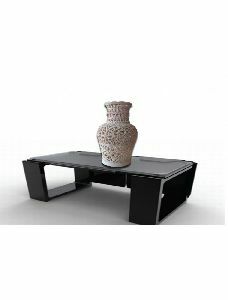 To make our transactions secure, we allow our clients to make payment through both offline and online mediums. 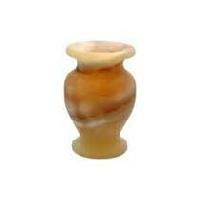 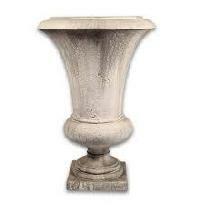 This 12 inch gorilla soft stone vase represents the best features of karigari craftsmanship of Uttar Pradesh. 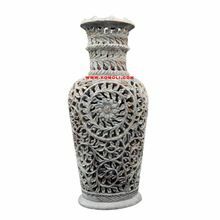 Its brilliant use of lattice work carving speaks volumes for the richness of quality. 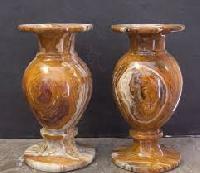 This piece would stand perfectly on your center table lending a touch of elegance to your living room made by an award winner for Marble Inlay from the then Hon'ble PM Sonial Gandhi for Uttar Pradesh at Pragati Maidan.